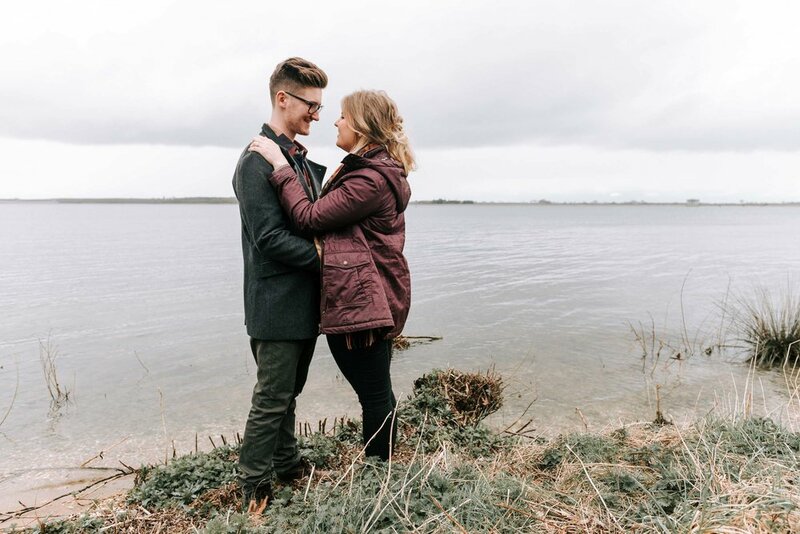 Even though the weather wasn't the best, I had a lovely shoot with Nikita and Andrew this week at Grafham Water. 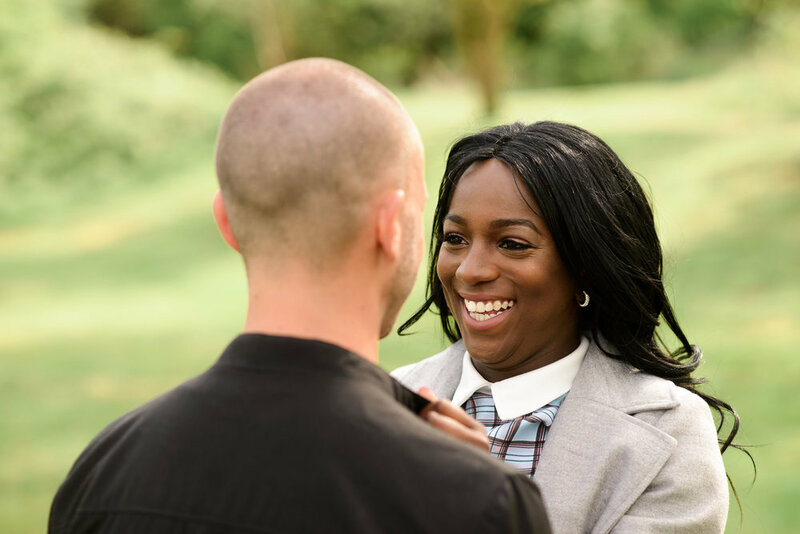 I love doing engagement shoots like these, you can really see the strength of the connection that the couple shares. I'm very fortunate that I get to work in such a great field with such great people, it really is my dream. If you're typically quite awkward in front of the camera, that's ok, your photographer knows how to bring out your best side, so don't fret. It usually takes awhile to get warmed up and in the swing of things, so give yourself time to get used to being photographed and loosen up! Most importantly, don't stress! Photos take planning, so make sure you know what sort of thing you want and communicate that clearly to your photographer. We're all an experienced bunch, so don't worry if you're not sure - your photographer can always come up with suggestions if you don't know what to do next. The best locations are rarely right next to a car park, so be ready to do a bit of walking to get to the right spot. Bring a bag with some water and some snacks (you can leave this out of shot when it's picture time, don't worry) to keep you going if it's hot or you get hungry. Picking a good location can be difficult. 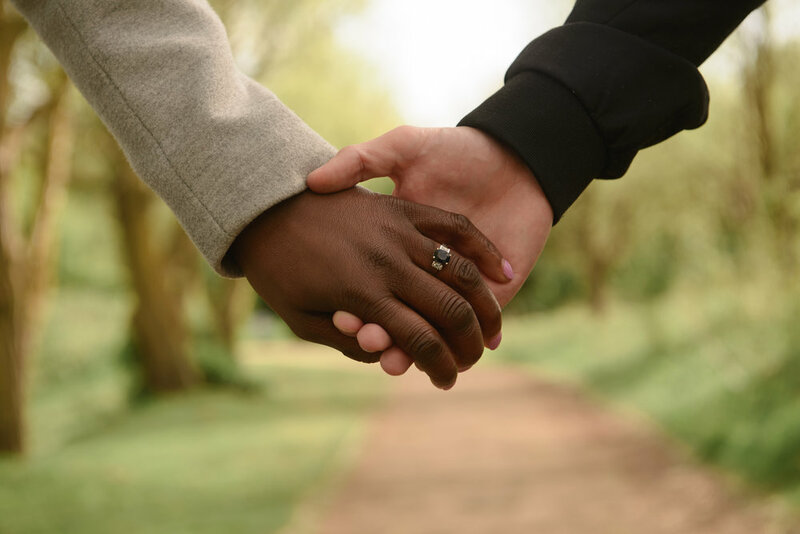 If you have a favourite place that means something to you as a couple, that's always a good place to start. Otherwise, country parks, reservoirs, beaches, even fields all work very well. 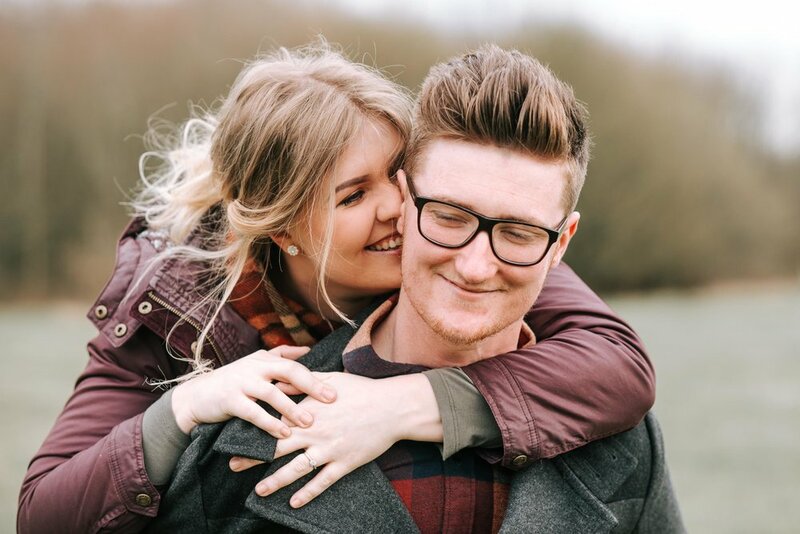 There's no need to be super-formal for an engagement session (it's not your wedding, no need for a wedding dress and tuxedo!). Stay comfortable and dress appropriately for the weather. If you make sure to dress with complimentary colours, the photos will definitely look cohesive and form a pleasing whole.. The most important thing is that you feel comfortable in your outfits, this shows up in the photos and can accentuate your style and personality. It also helps to not carry anything around that might distract you, so leaving bags and other things you don't need in the car is a good idea. I don't recommend wearing black for photos, colours that complement each other and clothes in common shades look best for couples, while loud print patterns or big logos can be distracting.